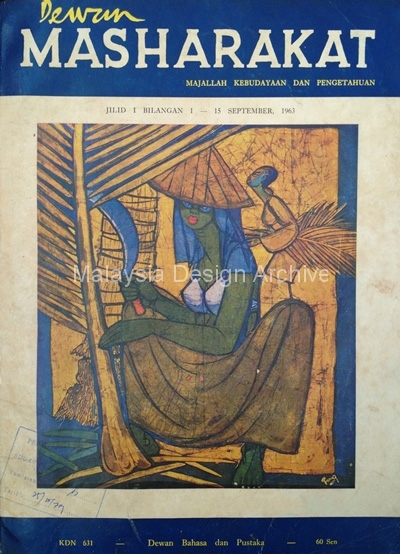 Dewan Masharakat, a magazine focusing on knowledge and culture, was published by Dewan Bahasa dan Pustaka and first launched in September 1963. On the cover is the painting “Bibir Merah” by Chuah Thean Teng, who is considered the father of Batik painting in Malaysia. Some of the articles in the first issue include “Angkatan Sedar Wanita Malaya”, “Muzium Negara” and “Badan Kebudayaan Kebangsaan”.